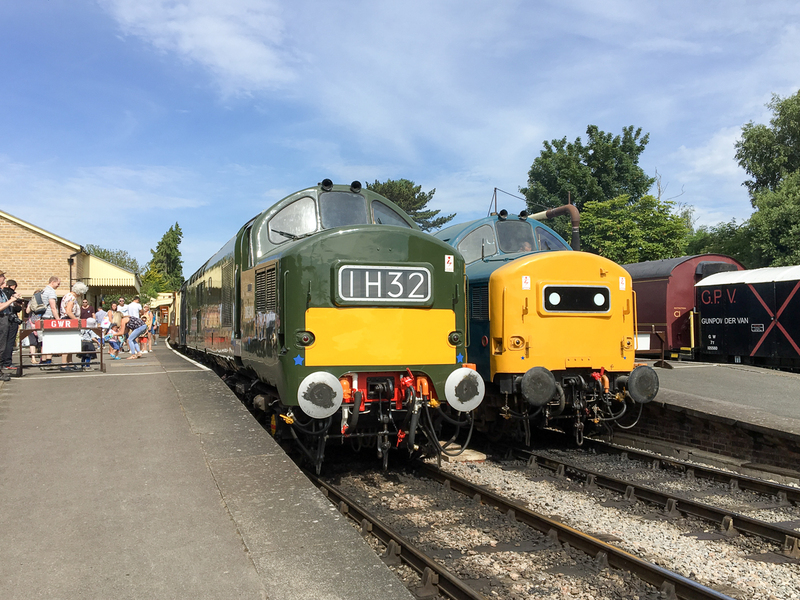 Both 37215 and D6948 were used at the GWR's Friends of Thomas weekend of the 23rd and 24th June working 250 miles over the course of the weekend. As usual for Thomas weekends, 37215 was utilised in its character role shuttling between Toddington and Winchcombe alternating with Thomas the Tank Engine. This year, D6948 was called on to operate the feeder service from Cheltenham Racecourse to Winchcombe bringing in people to the event, working 5 return trips during each day. D6948 is seen alongside 37215 at Winchcombe having just arrived from Cheltenham Racecourse with a 'Thomas' Event feeder special.